Paw print pullbow ribbons. 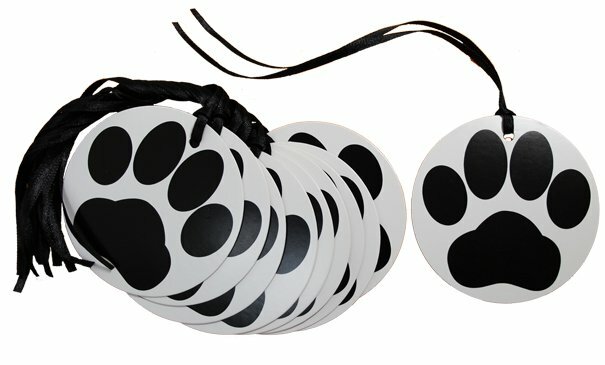 Individually wrapped pack of 5 pullbows with a 50mm width ribbon featuring a cute white and black paw prints design. Final bow measures approx. 18cm diameter and consists of 18 loops. Great for gifts, celebrations and occasions all year round.